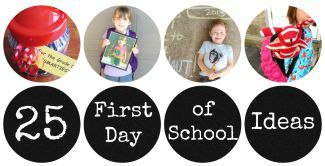 It seems like summer just started but it is already time to start thinking about back to school! 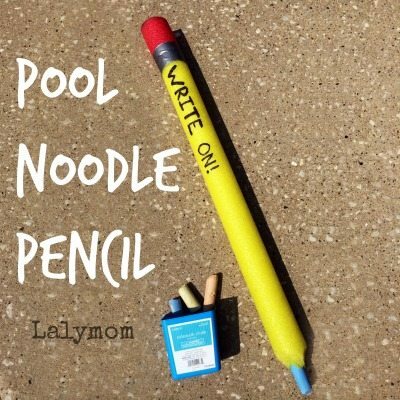 Today I have a super fun Back to School Craft for you with this easy Pool Noodle Pencil! I think this would be a pretty funny teacher gift or a fun craft for a back to school party. 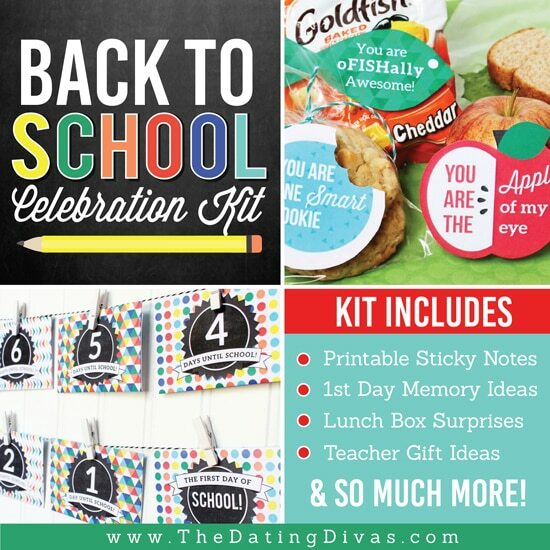 You could personalize them for each guest, with your school name, the year or anything else you can come up with! 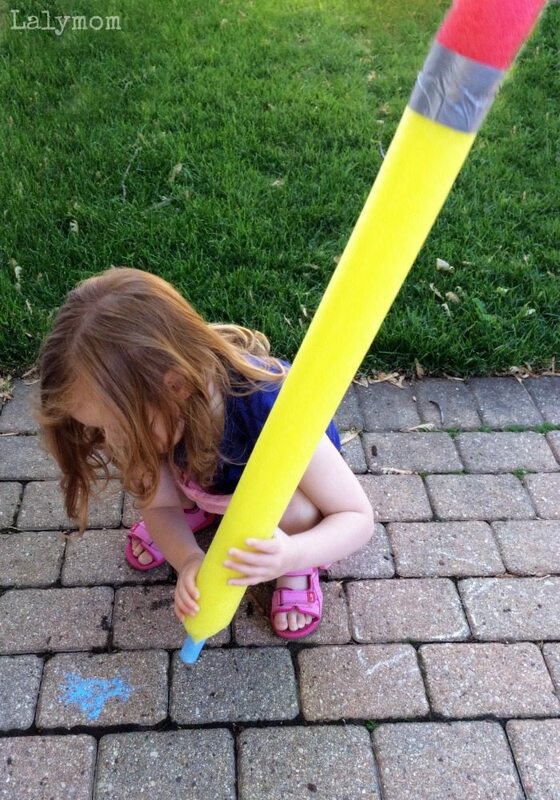 Both my preschooler and toddler had fun writing with this pool noodle pencil, however my toddler kept pressing the chalk into the pencil. We had a super fun playdate with our friends over at Craftulate and Georgina suggested putting all the chalks into the pool noodle, like the old school pencils where you slide in the refills! Genius! So now if you have this problem you totally know what to do! 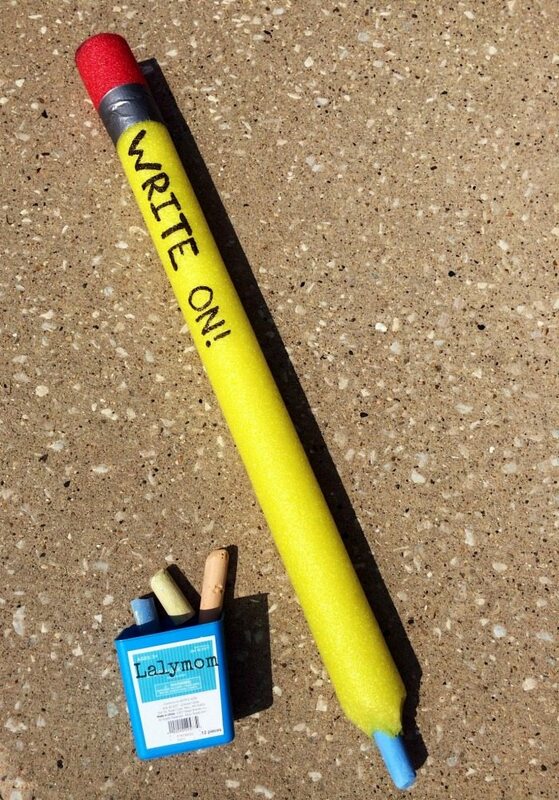 If you want to retrieve your chalk one day, you can use a dowel rod or other thin pokey thing to push them out! There is really not much else to say other than to tell you how to make one! It is super easy and super quick! As always use proper precautions when using sharp cutting tools- do not do make this craft with young children around and protect your cutting surfaces! Cut: Find a safe cutting surface and lay out your pool noodles (I chose the grass in the back yard). Using a serrated knife, cut a segment of the red/pink pool noodle to resemble an eraser (mine is 4 inches long). Cut a segment of the yellow pool noodle to resemble a pencil (mine was 27 inches, but if you are making several you could see if your pool noodle is long enough to cut two from one noodle). At one end of the yellow pool noodle you cut, hold the knife at an angle and “sharpen” the tip by trimming off an angles portion. Tape: Align the red pool noodle segment on the unsharpened end of the yellow segment. Wrap the duct tape around them so that an inch of your duct tape is on each pool noodle. I wrapped it around twice but it took a couple tries to do it without too many wrinkles in the tape. Add Chalk: Insert a piece of chalk into the sharpened end of the pencil. 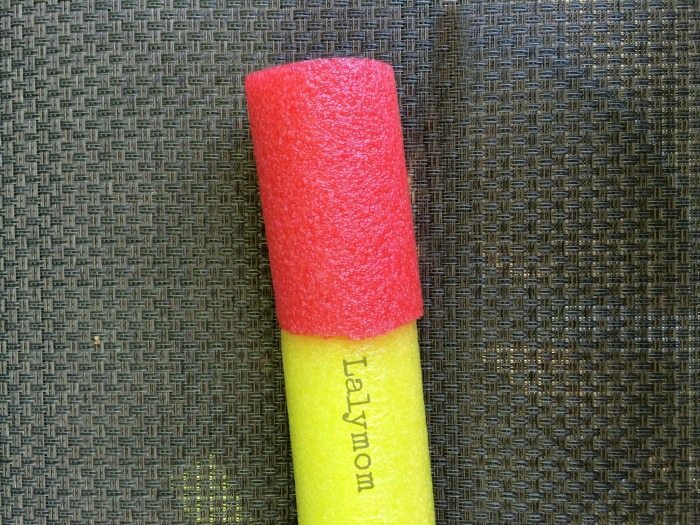 If your chalk stick slides all the way into the pool noodle you can usually press the edges of the sharpened pool noodle back enough to retrieve it. As discussed above you can also add a whole pack of chalk sticks to the pool noodle so that as you press one in from the eraser side, it presses one out of the sharpened end! 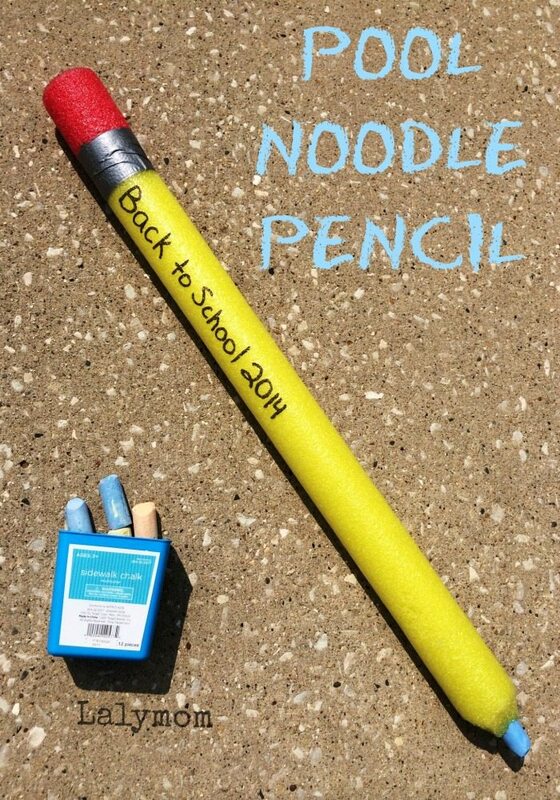 Personalize: Using s black Sharpie marker add your message to the end of the yellow noodle, closest to the eraser. Done! Easy, right? Go forth and make pencils! 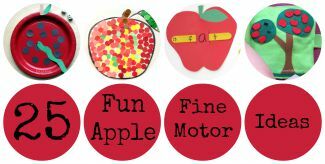 If you enjoyed this back to school craft idea, please pin it on pinterest! Awesome idea! And I love those old school pencils you mention! Oh yes. I am so doing this for my daughter she would LOVE it! Hehehe, hope you guys have fun with it! NO WAY!! I love this so much, and I doubly love the idea of a small child presenting their teacher with this on the first day of school. You are a genius. LOL well thanks Jeanette! I think it would be so funny, depending on the teacher, I suppose! Love thus idea! 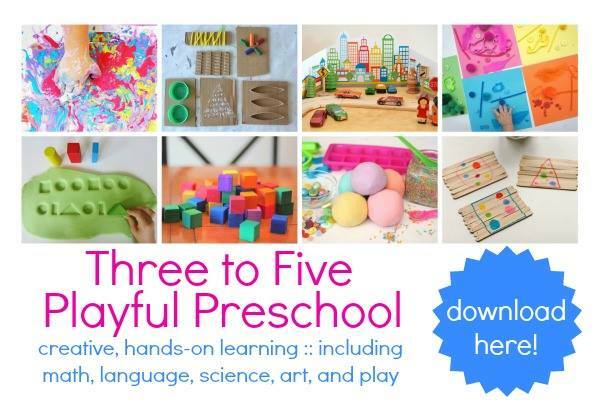 Can’t wait to try it out with my 5 yr old granddaughter thus week! If it goes well…we might even do this as an activity at her Bday party! Yay! I hope you had a fun time with it! Thanks for coming by and for commenting! 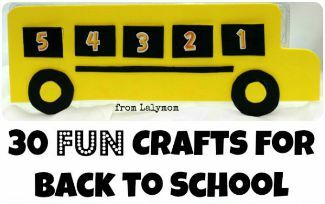 Laura, that is the coolest idea for outdoor fun mixed with back to school. It looks so cute the way you made it. Next time we grab some pool noodles, we’ll have to try. I just pinned! Thanks for the kind compliment! Hope you have fun with it! Thanks for reading and for pinning too!